يوفر فندق Quest Dandenong ظروف إقامة راقية وهو خيار رائج للسياح ولرجال الأعمال أيضاً. يقع في منطقة تسوق, سياحة, الأعمال من ملبورن. يمكن من هنا للضيوف الاستمتاع بسهولة الوصول إلى كل ما تقدمه هذه المدينة النابضة بالحياة. كما يمكن الوصول بسهولة إلى Eastern Medical Centre, South Eastern Private Hospital, Dandenong Plaza. 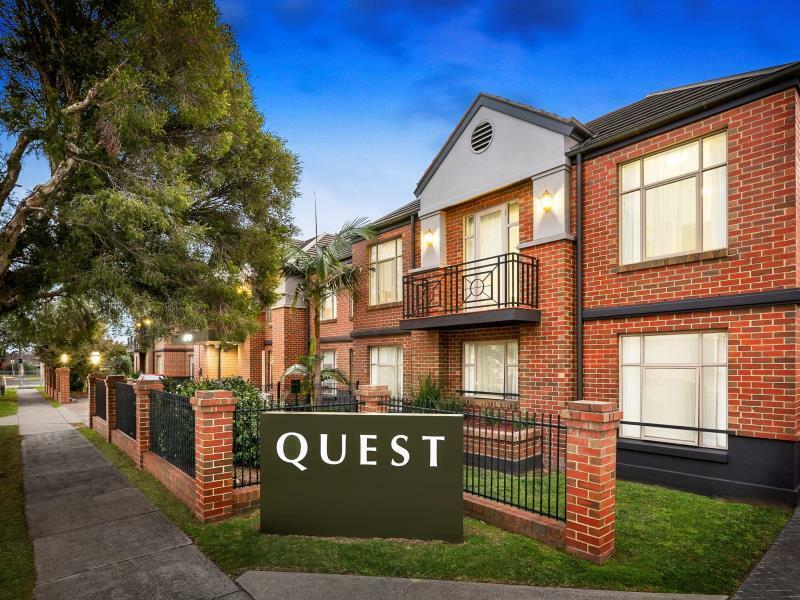 يعمل Quest Dandenong على ضمان إقامة مريحة لضيوفه من خلال خدماته الممتازة وحسن ضيافته. يمكن الاستمتاع بمجموعة من الخدمات على أعلى المستويات في الفندق كمثل خدمة التنظيف يوميًا, مجهز لذوي الإحتياجات الخاصة, مرافق مخصصة لذوي الاحتياجات الخاصة, تخزين الأمتعة, واي فاي في المناطق العامة. تعكس غرف الفندق البالغ عددها 34 المنتشرة في 2 طوابق جواً من الدفء والألفة.خدمات عصرية مثل تلفزيون بشاشة مسطحة, اتصال لاسلكي بالإنترنت, غرف لغير المدخنين, مكيف هواء, تدفئة موجودة في بعض الغرف المختارة. يمكنك الاستمتاع بالأجواء المريحة التي تقدمها حمام سباحة خارجي طوال النهار. إن كنت تتطلع إلى إقامة مريحة وهادئة في ملبورن، فستجد في Quest Dandenong بيتك الثاني. Everything you would expect in a large apartment. A nice surprise was a washing machine and dryer in the room. Easy parking and only two levels. No elevators so need to travel light or swap clothes into a smaller bag. Very close to Dandenong Hospital too. We got a ground floor which we appreciate. But the minutes we entered into room (we got room no. 9), there was a strong food smell. Would appreciate if the cleaners would have air the room before the next guests checked-in. Quiet street, a bit old but still well maintained. excellent. I had a room by the pool. 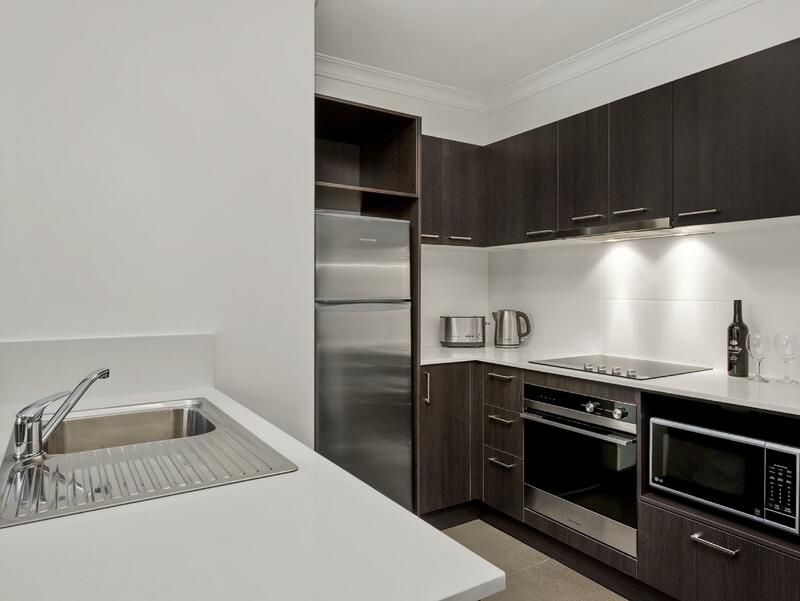 Stated kitchen but was impressive full kitchen for a 1 bedroom apartment. Great size room and really well set out. We were there mainly for a stopover from GOR and to Philip island the next day, did not have much time to wander around Dandenong. Quest provided us a great, comfortable n quiet place to stay for the night. We had dinner at Dandenong Pavilion and food was good. Staffs were expecting us at check-in, very fast. Ample parking space nearby. Easy and convenient location. Got to drag yr own luggage so to the upper floors. Corridor lights goes off automatically, so got to be fast moving in and out, else will have to keep pressing the buttons. The apartment size is fairly big, with access to the high way and close proximity to the shopping area. We arrived late but managed to get in when calling the after hour telephone line. There are no elevators when we checked the ground floor (the hotel is only 2 storeys), so if you have loads of luggages and your room in on the upper floor, be prepared to lug them. Staff are friendly and helpful, no complaints. There are no on-site restaurants but hotel can order for you from the nearby restaurants (there are many offering various cuisines) to be delivered to your room, and there's also a meal/breakfast pack in the fridge, but we'd rather cook or buy our own. Otherwise, it was a good stay, room conditions was excellent for either a short or long stay. 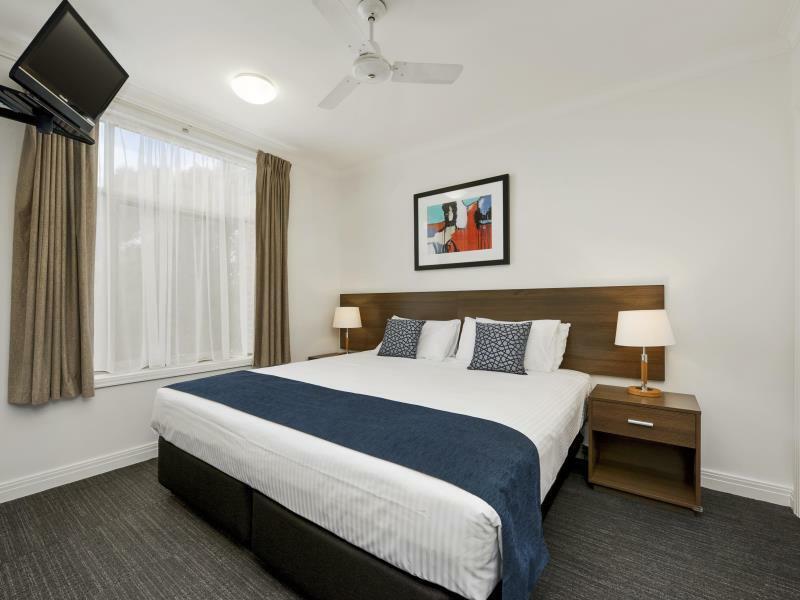 The hotel's location is excellent for our itinerary driving around Mornington Peninsula, Phillip Island, Mount Dandenong and the Yarra Ranges including Healesville. And since there are lots of convenient places to shop (like Coles, Dandenong Market, restaurants) nearby, its easy to get your groecery needs. We had a view of the pool but since it was a cold spring season no one made a splash. Other rooms face the outside streets. Having a full kitchen made cooking simple, and having a washer and dryer makes our stay even more convenient. 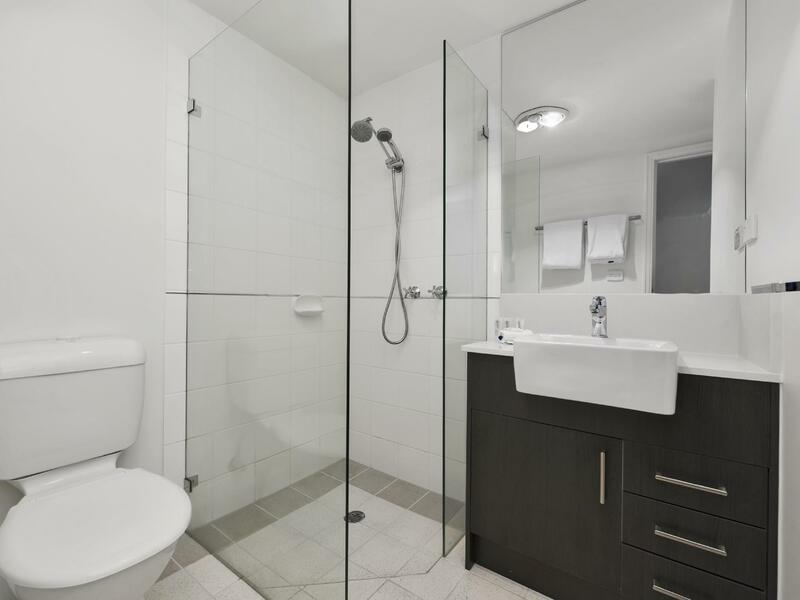 Other plus include iron and ironing board, shower with tub, TV each in the living area and bedroom. Only thing is, our experience with Aussie hotels don't go down well with pillows. Somehow all the pillows at the hotels we stayed in all these times are rather small and uncomfortable. Should work on this aspect - had it not been for our exhaustion from travelling a hundred kilometres a day, we probably would not have had a restful sleep because of the pillows. Friendly service however items in the room need to be addressed: air conditioner didn't work and it was a warm day, fridge seal wasn't on properly so fridge didn't close properly. 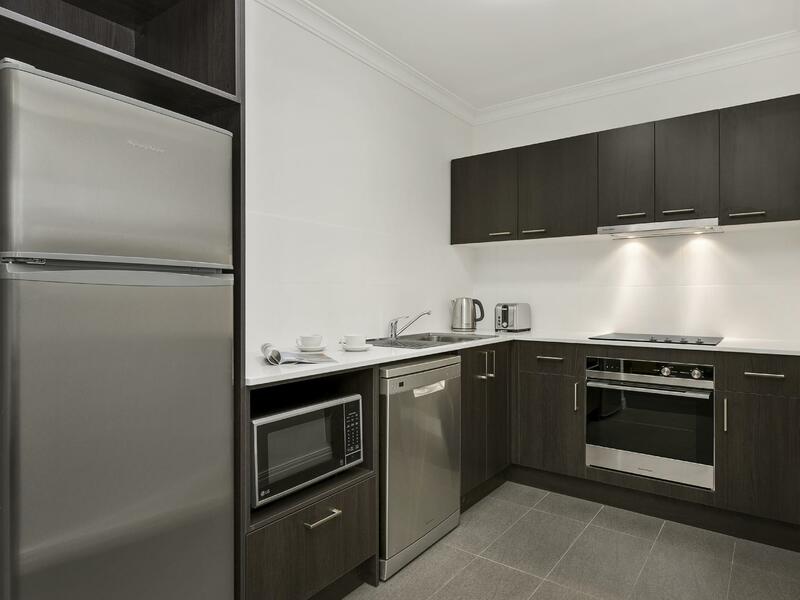 Excellent location near the shops and cooking facilities.